Yes, it includes "flying doctors." Buying a Bugatti is not like purchasing any other vehicle. It's more akin to membership of an ultra-exclusive club and the home office takes mighty good care of you. 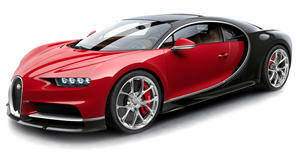 The latest example is Bugatti’s newly announced Veyron customer service program. Called Loyalty Maintenance Program (LMP), it has been developed, in Bugatti’s words, “to maintain the technical condition of the Veyron fleet in the marketplace at the highest level.” , but this new program will . In order to be eligible, however, owners must acquire a “Bugatti Certified” seal, which the automaker claims will help the cars increase in value in the years ahead. Certification involves checking everything from airbags to spark plugs; every detail, big and small, is examined. LMP is not exactly a one size fits all type of thing, but rather owners can choose from a variety of difference service packages that fit their requirements. For example, some Veyron owners drive their cars every day while others see their car as a work of art and prefer to sit and stare at it. Individualization is key. This program is also beneficial for those seeking to locate and buy a pre-owned Veyron, certified of course.